Match Wolfsburg-Borussia Dortmund 1. Bundesliga the fixture is set to kick-off today 14:30 on Volkswagen Arena. Refereee Daniel Siebert. 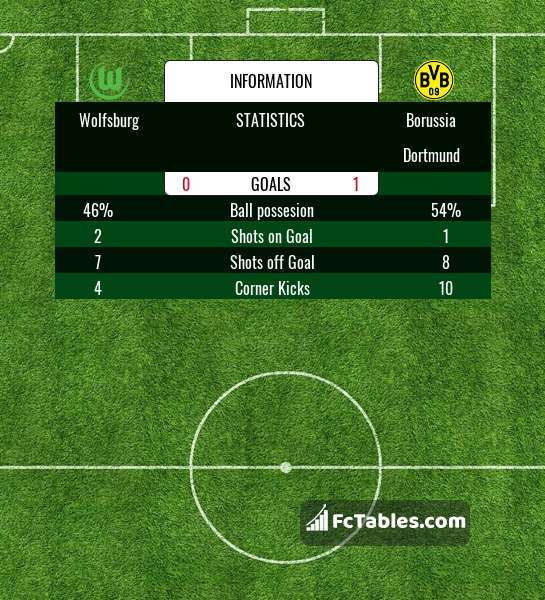 Team Wolfsburg is located in the middle of the table. (10 place). Wolfsburg in 5 last matches (league + cup) have collected5 points. Wolfsburg from 4 matches at home can not beat any rival. To defend Borussia Dortmund the most demanding players will be Wouter Weghorst 4 goals, Admir Mehmedi 2 goals, Daniel Ginczek 2 goals, because this season they scored the most goals for Wolfsburg of the entire composition. Most goals developed: Wouter Weghorst 2 assists, Admir Mehmedi 1 assists. Injuries in the team Wolfsburg: Ignacio Camacho, Felix Klaus, Joshua Guilavogui, Ismail Azzaoui. Team Borussia Dortmund is at the top place in the table (1 place). Last 5 games (league + cup) finished balance 13 points. The most goals in 1. Bundesliga for Borussia Dortmund scored: Francisco Alcacer 7 goals, Marco Reus 5 goals, Jadon Sancho 4 goals. Most goals developed: , Marco Reus 3 assists, Jadon Sancho 6 assists. In Borussia Dortmund not occur in the match due to injury: Abdou Diallo, Mario Goetze, Lukasz Piszczek, Marcel Schmelzer. Direct matches: usually ended with winning of Borussia Dortmund. 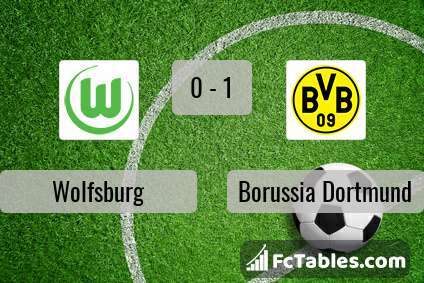 Balace of both teams games are: 10 won Wolfsburg, 21 wins Borussia Dortmund, 9 draws. In 29 matches the sum of the goals both teams was greater than 2.5 (Over 2.5). On the other hand, 36 matches teams scored more than 1.5 goals (Over 1.5). In 25 matches the both teams have shot at least one goal.